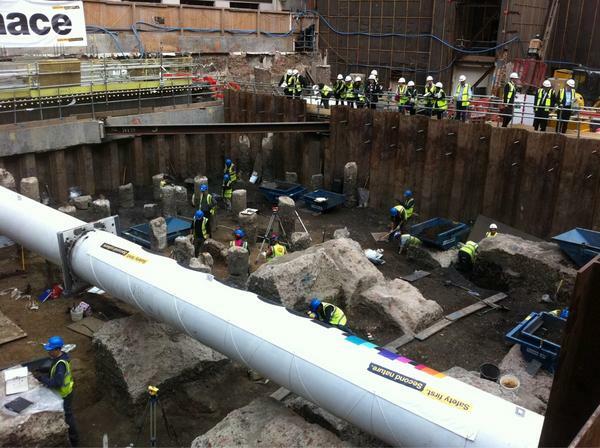 One of MOLA’s current archaeological sites, located just along the Walbrook, was open to the public as a part of Open House weekend. It proved a very popular attraction! A viewing platform was erected around the top edge of the shoring around the site. 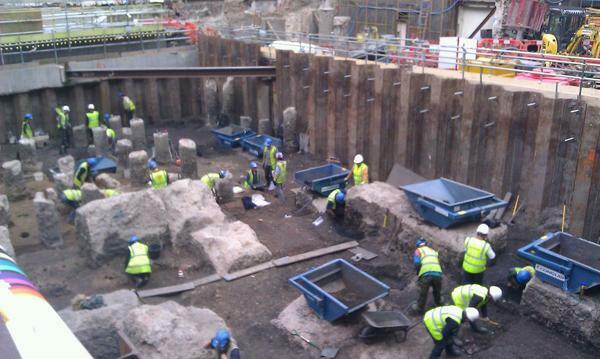 This offered views of archaeologists in action recording Roman features along the Walbrook. There was also a finds display where folks could handle objects discovered on site. Most of the pottery and animal bone visible in the picture below dates to the Roman period of occupation along the Walbrook stream. 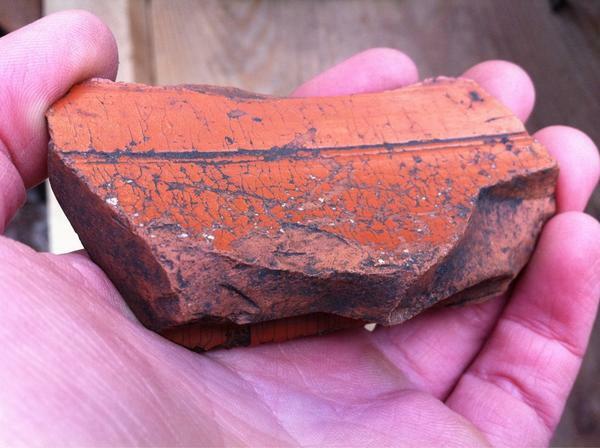 The picture below is of the inside of a fragment of a mortarium, a Roman spouted vessel used to grind and prepare food. During a visit from one of our Roman pottery specialists on Saturday, we learned that this particular example is a rare find indeed as it’s decorated on the outside; most mortaria were plain. 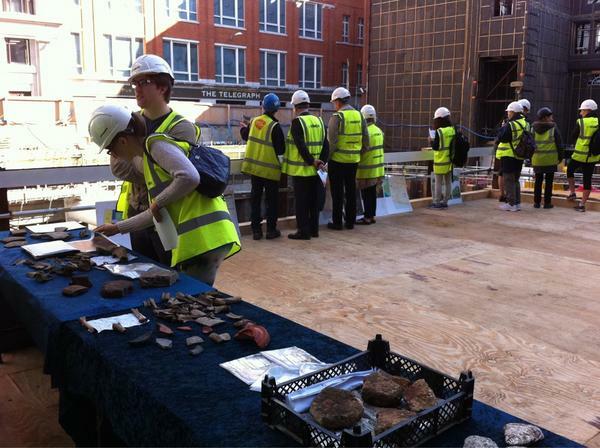 Hundreds of visitors donned high-visibility vests and hard hats to experience first-hand what we archaeologists get up to on an urban site. So many arrived on Saturday morning in fact that we had a bit of a queue to get in the door! If you’d like to read about some of our visitors’ experiences, visit the blogs of @ianvisits and @carolineld in the links below.